How many social media networks do you use where the original post sends you traffic months or even a year later? Pinterest is the only social site that produces results like that for me on an ongoing basis. And if you’re strategic about what you pin/post, you don’t have to spend a lot of time on the site to get a good return on your time investment. If you have no idea what Pinterest is or how to use it, this podcast (here’s the transcript) will break it down and fill you with ideas you can try on your own. Even if you don’t use the network, you need to make sure your site is Pinterest-ready. Many of your readers may be using it and you want to make it easy for them to share your content. You can also apply many of these strategies to other sites like Twitter, Instagram, Facebook and more! Take my Pinterest Course Here! Thanks, Lisa. 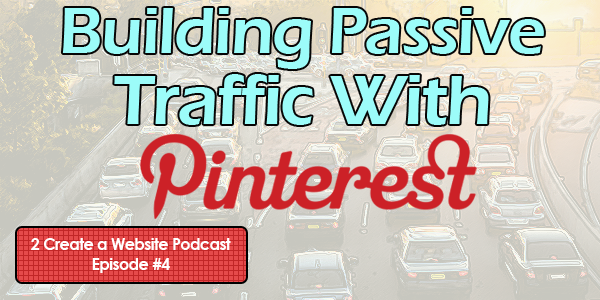 This is a very useful article about Pinterest Marketing and how to increase website traffic. Awesome Post Lisa. I’ll have to give this a try for my websites. I found this post through a tweet on your twitter page. Cool! Goooo Twitter. I tell ya… adding images to Tweets really helps. I also use pinterest to get visitors to my blog and they are coming and my pageviews are increasing day by day but if i will stop taking time for pinterest will it effect my blog? Great Podcast, One thing that I can say about Pinterest is this; Make a graphic that is Aw inspiring, this might sound like a no brainer but people often just upload their product. THis my work for someone who likes your product and sees your pin, then they click it and go to your site where the product is available. But if you put up something that is relative to your product and is interesting by itself (without it being a shopping add) then it will get pinned more often. And when this happens more people will click them and at least get to your site. Excellent, excellent tips! And couldn’t agree more, Ron. Thanks for adding that. As according to your information i have started to use the Pinterest before that i appr. got the max. traffic of 15+ visitors through stumble upon. Backlink! Of course. I have stayed away from Pintrest because who goes there to get business plan info (what I do). But a backlink would be nice. 🙂 Thanks for the tip. I tried to generate traffic from pintrest but fail to get good traffic even it is nil, I hope your tips helps me out a bit. I have always harvested the good traffic that pinterest sends me, just like you have said above, it lasts for a longer time and i was wondering if it was just for me. Great post, keep going! Splendid Job you have done here. I was not aware of this. Can you suggest me how to promote my pins. My pins get naturally promoted by my followers. I believe design plays a HUGE role. And if the images make an impact and are visually appealing you won’t have to work hard to promote them. The key is, do people in your niche use Pinterest? Obviously that plays a big role too. So I think it’s less about promoting and more about understanding how design plays a significant role. I’ve tried to get traffic via pinterest, but i’ve noticed it def. depends on the niche i’m promoting. I’m more focused on reddit, twitter, and stumbleupon right now, but if i have traffic that fits more of a female demo, i will give it another shot. Reddit’s my favorite. There is a sub-section to fit every site. Nice article. I will be using pinterest for more traffic. Pinterest is a amazing platform to generate traffic for your blog or website. Currently, I’m getting 50+ visits from Pinterest. One of my friend got 5+ leads in a day with the help of Pinterest. This is a fantastic podcast Lisa. I am definitely going to put together some niche based Pinterest boards to see if I can get some traffic to my blog. Thanks again! Thank you Kim! Appreciate ya stopping by. do the photo shop course! PLEASE!!! Sweet! Good luck with your pinning! Hope you enjoy it as much as I do. Nice voice over on the podcast. Ha! Love It! This is awesome. I just signed up yesterday and had no idea what to do with it. I get it now, and while listening I came up with a game plan on how I am going to use this with my site. Been following you for about a year now and really learned a lot from you, just wanted to say thanks for that. If you ever do a Photoshop course you can count me in. I’m getting REALLY close to saying “yes” because there seems to be a demand. More than I thought with my audience. And as I said in the podcast, if I sell it on Udemy they will hopefully get it in front of more relevant followers. Lot’s of folks don’t want to spend the money on Photoshop because it can get expensive depending on which version one buys. There is a free alternative to Photoshop that I have found to be very powerful. It’s called GIMP and can be downloaded via http://www.gimp.org. GIMP will rival Photoshop’s most expensive version that costs around $2000. There are tons of great plugins that can be downloaded for free as well. There are videos on Youtube that can show one how to use the software to make life easier. There are text books available via Amazon.com that are excellent sources of information for using this software. However, the drawback to GIMP is that it has a steep learning curve. Photoshop seems to not have as steep learning curve and a little simpler to use. So there is a trade off on simplicity when getting something for free. But, if you’re willing to learn and take the time, one will find GIMP is extremely powerful and can probably do more than Photoshop’s most expensive version. And many of the methodologies use in GIMP to edit photos, create art, etc are the same as Photoshop. So GIMP isn’t totally different and the skills learned there can be used on Photoshop and vice versa. Download it for free and see how it works. You’ve got nothing to lose and all to gain going this route. I agree that if you can learn GIMP, GO for it! I found it incredibly difficult, but I didn’t know if it is truly non-intuitive or if it was because I was used to Photoshop. You can also create very Pinterest-friendly graphics with Canva — which is also free. Lots of options out there today. Hi Lisa, I’ve been following you for years. I have a question regarding this whole pinterest thing. I use pictures from flickr creative commons for my blog that allow for photo modification, redistribution and free commercial use. I give credit on my blog. Here’s my question: Am I able to post those photos from flickr creative commons on pinterest to market and drive traffic to my blog? I’m interested in starting with pinterest, however I am a bit hesitant because I want to ensure i”m not breaking any laws. Thanks in advance for the follow up. It’s really difficult to say for sure from their license agreement but I would imagine since this is not technically commercial use then it would be OK but please don’t quote me on that. Did you try dropping them an email? Thanks Lisa for your response. No, I haven’t emailed Pinterest. However that’s a great idea. I will. Any recommendations on where to get free images for a blog/website that can also be used on Pinterest? Yes, I put some links in the post but the one I know for SURE requires no attribution is morguefile.com. It’s 100% free for commercial use. Great Cast, i first didnt like Pinterest that much but by Time its getting my Fav Socialsite. The only Prob i have with it is, im German and in Germany Pinterest isnt that popular yet but im pretty sure its gonna make its Way. I’m a huge fan of Pinterest marketing. For some of my sites it’s now my 2nd most important traffic source (after Google). Even better, all this is done with “legitimate” marketing – no spamming, no junk – just creating good images that link to great content and getting it out there. Love it! That’s so true. I know of women who literally got most of their wedding ideas from Pinterest! It’s just become a part of people’s everyday lives. And I’ve also noticed some boards ranking VERY well in Google. So yes that’s certainly another benefit. Really? I have never even heard of this happening to anyone. Can you give me more details about how you were using it? How were you promoting your pins? Hey Lisa! I enjoyed this episode a great deal. One of the things that resonates with me is how important it is to have the Pinterest button installed on your site. Seeing that button can encourage someone to interact with your content and share it on Pinterest even though they might not normally share stuff on social media. Pinterest is trying to brand themselves as a content discovery site rather than a social media site. I think they are trying to take on Google! lol Well I don’t know about that but I would certainly search for something on Pinterest before I would on Bing or Yahoo. Thanks for the tips and have a great weekend Lisa! And I completely support that! I’m becoming a HUGE fan of the site and I don’t think a lot of people really understand the potential for traffic. I would love for them to take on Google! Ha ha ha! Thanks for listening, Ileane. You “hit the nail on the head.” Convenience stores make bank even though their prices are high BECAUSE convenience WORKS. Making it easy to share you pics (or to PIN it on your own Pinterest page) is a MUST. And, “Leese,” thanks for sharing your photoshop pics! So, that’s how you get your pictures to be shared! 😉 I always learn something when I check out your posts. Thanks for all the tips and links to other PINterest related resources.